This past Thursday, nearly 350 students from six San Leandro, San Lorenzo, Hayward, and Castro Valley high schools participated in the third annual East Bay Manufacturing Day. 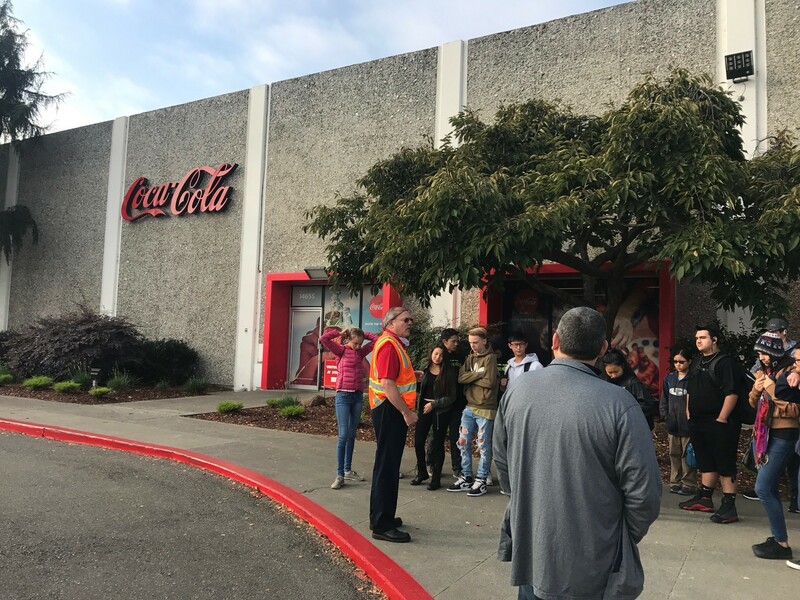 As a part of the day, the students had the opportunity to visit 13 businesses in San Leandro, Hayward, and San Lorenzo to explore careers in the East Bay’s booming manufacturing sector. Among the tours were eight San Leandro manufacturers, including Scandic, Mr. Plastics, Energy Recovery Inc., Koffler Electrical, Simmons, Coca-Cola, Oro Loma Sanitary District and Urban Bloc. 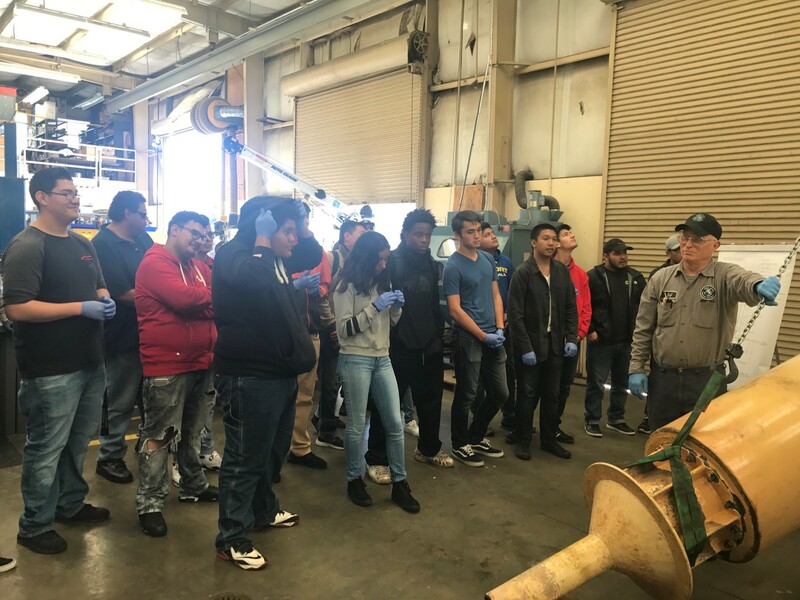 The students concluded their tours at Chabot College, where they were treated to an introduction to how Chabot prepares its students for careers in manufacturing and related hardware industries. Chabot College offers an in-depth 2-year degree in Advanced Manufacturing and Engineering, with eight different concentrations from which to choose. 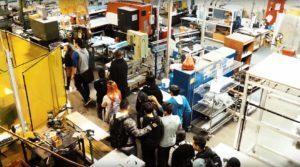 East Bay Manufacturing Day is the result of a very special collaboration that includes San Leandro, San Lorenzo, Hayward and Castro Valley Unified School Districts; EdenAreaROP; the San Leandro Chamber of Commerce; the Hayward Chamber of Commerce; Pilot City; the City of San Leandro; Chabot College; and the East Bay Career Pathways Consortium. 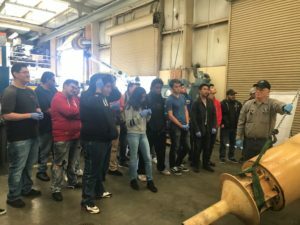 Currently, there are 17.4 million jobs in manufacturing in the U.S. A recent study found that the average wage for manufacturing workers in Alameda County is $80,195 compared to the average wage of $64,125 for all workers in the County and an average household income of $72,112. In 2013, manufacturing firms in the county paid out $4.98 billion in wages, making it one of the top five sectors with total wages paid. 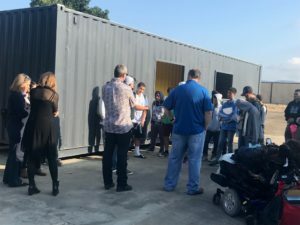 San Leandro’s manufacturing companies are primarily Advanced Manufacturing companies. The worker talent required by these companies are often the same programmers and engineers highly desired by software manufacturers. Watch the video below to learn more.